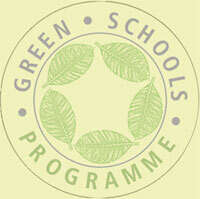 Sri Venkateshwar International School will be representing Delhi in the Award ceremony to be held at India International Centre for the National Level Green School Award for its initiative in conducting the internal school audits by students on school environmental practices. The students went around the school on an exploratory journey and found out how the school is managing its water, energy, land, air and waste. A detailed report compiling the audits as per Green Schools Manual of Centre of Science and Environment was submitted. The flag off ceremony was hosted on 13th Oct, 2011 in the school premises .The occasion was graced by Mr. Ashish Shah, Deputy Coordinator Dept. of Environment Education, CSE, Mr. P K Dutta (a noted naturalist), Mr. U N B Rao (Chairman UVNAC), Ms Cicily Kodiyan, Ms Asha Varshney and Mr Pathak. A committee comprising the administrative staff, teaching staff, maintenance staff and students headed by the principal Mrs Nita Arora conducted the audit of the electricity, CNG, diesel, petrol, water and green areas of school. Ms Jyoti Chikkara as the Green School Coordinator along with Mr Harish Sharma, Ms Priya Braria, Ms Malini Pandey, Ms Renuka Chander, Ms Reetu Durga, Ms Jasleen, Ms Sheelam, Ms Reena Kalra, Mr Yadav, Ms Deepali Pillewar and Ms Renu led and guided the students in the audit. After conducting the audit for mode of transport used, the students went about advocating car pools. After visiting a highly polluted area, a bio diversity park and a rural eco-friendly area, they came back wiser about the advantages of a simpler life as well as suggested ways to better manage the domestic and school wastes. They felt proud to know about the in-built design of the water harvesting systems in the school building. Students and faculty advocate the use of bio degradable material and minimizing the use of polythene. The energy audit proved that the school is using eco-friendly practices to reduce the electricity consumption/ utilization. The green brigade is charged up to adopt more eco-friendly measures for sustainable development.